When the Prohibition of Money Laundering Law, which was legislated in August 2000, came into force, a lengthy legislative process came to an end and the regulating of this matter allowed Israel to join other world countries, mainly industrialized nations, in their war against organized international crime. Up until the legislation of the law (because of various historical, demographic and economic circumstances) Israel was a convenient location for money laundering activities. Consequently, in June 2000, Israel was placed on the “blacklist” prepared by FATF (the Financial Action Task Force) a special international financial task force established in Paris in 1989 in order to coordinate the struggle against the money laundering phenomenon by various means. The significance of Israel finding itself on the blacklist alongside countries such as Russia, the Philippines, the Lebanon and other countries on that list was very problematic. Israel could have expected severe economic sanctions from industrialized nations. The American Ministry of Finance published a warning regarding the execution of transactions with Israelis and private financial institutions in various countries, at their own initiatives, created limitations on financial activities with Israelis within the framework of their money laundering risk management policies for so long as Israel was included in the blacklist. This damaged the reputation of Israel’s banking and economic system. Consequently, in order to have Israel removed from the list as soon as possible the Ministry of Justice acted rigorously, in cooperation with other authorities, in order to expedite the legislation of the law, a process which had begun a few years previously. Indeed, the legislation work on the law was completed within a relatively short period. vii. a list of those entitled to receive information from the database. Section 3(a) determines an offence against money laundering and forbids executing any action in property obtained by an offence where the aim of action is “to conceal or camouflage the origin, the identity of the right holders, the location, movements of the right holders or those acting therein“. It is to be stressed that for the purposes of imposing criminal liability under this section there is no relevance for the question whether the person executing the action aided and abetted in the original offence. This is an independent offence. Therefore, it is enough for the party executing the action to knowingly take part in the money laundering activity with the intention of conceiving and camouflaging the criminal origins of the property. The definitions of the words “property” and “action in property” are wide ranging and effectively include almost all business and economic activities. Therefore, in order for a money laundering offence to be committed there is a need to prove the existence of another two elements, i.e., that the property originated in an offence and that the aim of the activity with the said property was to camouflage the said origin. The word “offence” means an offence that is detailed in The First Schedule to the law. The First Schedule to the law defines a closed list of offences and executing of activities in profits deriving from such, with the aim of concealing the source thereof, constitutes money laundering. These offences are termed “source offences“. They are offences committed either in Israel or in other countries characteristic of the type of offences forming the basis of money laundering offences throughout the world. Amongst the offences detailed in the First Schedule of the law are offences under the Dangerous Substances Ordinance, offences of illegal trade in weapons, trade in prostitution, the sale and distribution of obscene material, gambling, bribery, murder or attempted murder, fraud offences, car theft or trade in stolen parts, counterfeiting or forged coins, offences of insider trading and securities fraud, offences connected to copyright violation, the violation of patents, trademarks and signs, the forging of value added tax invoices committed under aggravated circumstances, smuggling offences, offences under the Prevention of Terrorism Ordinance, offences under the War on Organized Crime Law and money laundering offences under Section 3 of the Law and also conspiring to commit any one of the aforementioned offences. At this stage tax evasion is not considered to be a source offence. Throughout the legislative process the draft has repeatedly emphasized the fact that despite the gravity and severe negative influences of tax evasion on the economy, this law is not the appropriate way for handling the phenomenon. The nature of the “knowledge” required for conviction of a money laundering offence is defined in Section 5. The legislator adds here, and determines, that in order to prove the offence it will be sufficient to prove a general knowledge that the property was forbidden, and there is no need to prove a knowledge of a specific offence connected to the property. Section 3(a) determines a punishment of 10 years for such offence or a fine of 20 times that stipulated in Section 61 (a) (4) of the Punishments Law. Furthermore, under the provisions of Sections 21 and 22 of the Law someone contravening the provisions of Section 3 (a) of the Law exposes himself to forfeiture of the property involved in the offence. Section 3 (b) of the Law deals with the fortifying of the money laundering prevention regime with reporting to the money laundering authorities. As has been stated, the law establishes a wide ranging identification and reporting setup and imposes a duty to report on the various financial bodies (including banking corporations), requiring that they report to the money laundering authority on a financial activity which raises suspicion of money laundering, whether this is because of the nature of the activity or because the amounts exceed a certain threshold. The section deals with a situation in which a person carries out some action aimed at preventing a banking corporation, or any financial body obligated to report under law, to report to the money laundering authorities on the execution of the action. It also deals with preventing reporting under the law of the entry or exit of funds into or from Israel. The order therefore imposes a duty of reporting on ordinary activities, that is to say a duty deriving from the execution of a monetary activity exceeding NIS 50,000 as well as the duty of subjective reporting, i.e. the resulting duty from an “irregular” transaction raising subjective suspicion that such transaction is aimed at circumventing the duty to report. The banking corporations are committed to report on the execution of regular activities, without exerting discretion (“objective reporting”) in those cases where the conditions included in the section prevail, such as a cash transaction for an amount greater than NIS 50,000. The duty to report the execution of an irregular transaction (“subjective reporting”) arises after the exercising of discretion in those cases where the suspicion of workers at a banking corporation have arisen that the execution of a transaction is aimed at circumventing the duty to report, and in any circumstance where the banking corporateion discovers behavior of its customer which does not accord with the customer’s business profile or if that transaction is economically illogical or lacks any business sense. The section requires that every person report, upon entry to Israel or departure from Israel, on funds he carries with him if the value thereof is greater than the amount set out in the law. 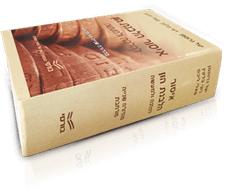 The section also imposes a duty to report on the entry and exit of monies into and from Israel at a value higher than the amount determined in the law, where such is done by mail or by other means. b. new immigrant – upon first entry to the State of Israel must report if the value of the funds with him are in the amount of NIS 1,000,000 or more. Section 3(b) also determines punishment of 10 years imprisonment or a fine of 20 times the stipulated fine as determined in section 61 (a) (4) of the Punishments Law. Furthermore, as stated, according to the provisions of Sections 21 and 22 of the Law the violator of section 3(b) exposes himself to the forfeiture of the property involved in the offence. As detailed above, Section 3 of the Law requires proof of special intention or aims of concealing property or preventing reporting. Section 4 of the law was legislated in order to contend with those cases where it is difficult to prove the element of special intention or purpose required in order to substantiate the offences under Section 3 of the law. It was also legislated in order to allow the enforcement authorities to catch those entities or additional links in the money laundering chain whose activities do indeed assist in cutting off the link between the criminal and the capital source, but without it having been proved that the perpetrators thereof acted knowingly in order to achieve this aim. There is no need to prove the intention or the aim at concealing. It is sufficient to prove knowledge of the prohibited property. This is not any property but rather a specific class of property defined in the Second Schedule of the Law. Or any other transactions in money exceeding the amount of NIS 400,000, whether such is one transaction in the property or a number of transactions in the property, accumulating to the said amount within a period of 3 months. In section 4 of the Prohibition of Money Laundering Law the legislator chose to deviate from the rules set out in the general part of the Punishments Law. The legislator, in an unusual move, chose to restrict the applicability of the doctrine regarding the “turning of a blind eye” in this case. The legislator chose, in this section, to soften the impositions placed on the accused and determined that genuine knowledge must be proven that the property was prohibited property. The explanation for this deviation lies in the legislator’s concern against over extending the law which could, under certain circumstances, cause the conviction of innocent people simply because of the fact that they refrained from asking the correct questions. As has been stated, the section is intended to catch within its net, principally, the widest circle of those aiding and abetting the money laundering process. The further one is from the focal point of the committing of the offence the hazier the suspicion regarding the property source, and the conviction due to the existence of a foggy suspicion may impose a blot on a wider public who are not aware that they have taken part in the money laundering process. Furthermore, as has been stated, under the provisions of Sections 21 and 22 of the Law a violator of the provisions of Section 4 of the Law exposes himself to the forfeiture of the property involved in the offence. In order to contend with the difficulties and in order to assist the enforcement authorities in their struggle against the phenomenon, financial intelligence units have been established throughout the world, in accordance with the recommendations of FATF and known as FIU (Financial Intelligence Units) who specialize on the subject of money laundering and whose job it is to constitute a pivotal point for the receiving of reports of acts suspected as being related to money laundering or for the financing of terrorism, for data processing, data analysis and data transfer to the relevant enforcement authorities. Section 28 of the Law orders the establishment of a centralized data base at the Ministry of Justice for the ingathering of all reports received pursuant to the Prohibition of Money Laundering Law. The data base includes a great deal of information, originating mainly in the wide ranging duty to report as set out in the Law. These duties, which focus on the reporting of various financial activities executed by customers, have been applied to the majority of financial bodies active in the country including banking corporations, insurance companies and agencies, members of the stock exchange, portfolio managers, provident funds, money changers and currency service providers as well as the Postal Bank. Furthermore, the Law has set out a duty of reporting on financial income and expenditure into Israel and from Israel. All the above stated sensitive information has been deposited with the Prohibition of Money Laundering Authority established pursuant to Section 29 of the Law. The Authority is a department of the Ministry of Justice and its budget falls within the framework of the Ministry’s budget. As the Authority is in charge of extremely sensitive data, the Law has set out rules and limitations regarding those persons who have access to the information. The Authority was established in January 2002 as an administrative intelligence unit. It includes a gathering and review division, a research and evaluation division, a legal department and a technology, computer and communications division. It should be emphasized that the department is not an investigating unit and it does not have independent investigative powers. Where suspicion arises, the material is forwarded by the Authority to the enforcement authorities and the investigation itself is carried out there (usually by the Israel police) by the special money laundering teams who have been set up and trained in order to contend with the phenomenon. That is to say, despite the fact that in principal the Authority lacks investigating powers and is only responsible, under the law and the working of the law, for the receiving of information reaching it, nevertheless, in certain circumstances in which suspicion is aroused, it is vested with the power to take action of its own initiative and to demand further information it needs in order to complete the picture. The power of the Authority to demand further particulars, as stated, both from those bodies with the duty to report and from the tax authorities (who are not obligated to report by law) is intended mainly in order to further verify or to refute the suspicions which have been aroused. The demand to receive information from an authority like it elsewhere in the world usually serves to widen the scope of the picture, based on the assumption that significant money laundering cuts across borders. Whilst the Israeli police and the general security services can request any data from the Authority’s data base needed by them for the enforcement of the law in question or the protection of state security, a foreign authority can only receive information provided that such relates to property originating in an offence stipulated in the First Schedule to the Law, i.e. prohibited property as such is defined by the law in Israel. The Legal Assistance Law provides the possibility of enforcing a forfeiture order against property which was granted in Israel over property situated in a foreign country and vice versa, provided that the property originates in an offence as defined in the Second Schedule of the Legal Assistance Law. This schedule was amended following the legislation of the Prohibition of Money Laundering Law so that it contains offences in contravention of this law. In this section the Prohibition of Money Laundering Law orders the court to forfeit property from a person tried and convicted by the court (hereinafter: the “Convicted”) to the value of the property connected to the offence, unless it has decided not to do so for special reasons. The law holds that a forfeiture order need not only realized from property connected to the offence itself but also from other legal and legitimate property at a value equivalent to the property connected with the offence. 4. property obtained, directly or indirectly, as fees for the committing of an offence or as a result of the committing of an offence or property intended for such. Criminal forfeiture allows both for the forfeiting of the property itself, (relating to the offence), and other property from the assets of the Convicted to the value of the relevant property. The forfeiture order will, first and foremost, be directed against the property of the Convicted. The property of the Convicted does not only include property owned by him but also property under his control or in his account. However, if the property of the Convicted is not sufficient on the date of the granting of the forfeiture order in order to realize the order in full, the court may order the realization of the order from the property of another person where the Convicted financed the purchase thereof or transferred such to that person without consideration. The court will not make such an order for property financed by the Convicted or transferred to that person, prior to the committing of the offence. 1. The property has been, directly or indirectly, obtained by the committing of an offence under Section 3 or 4 of the Prohibition of Money Laundering Law or as fees for the committing of the offence, or an offence has been committed in the property under these sections. 2. The person suspected of committing the offence, as stated above, is not permanently located in Israel or he cannot be located and therefore no indictment can be served on him. Forfeiture can be ordered on property in civil proceedings even if the property connected to the offence is discovered after conviction for the offence. It ought to be emphasized that the court may order forfeiture in civil proceedings even where no criminal proceedings whatsoever are being conducted, where the fact that the property was obtained by a money laundering offence is proved. The idea embodied by the final draft of the law is that forfeiture in civil proceedings is an act against the property itself, that is to say it is in rem forfeiture and such an action is carried out when it is not possible to out the accused himself on trial but it is possible to seize property and to institute civil proceedings. Both in the civil and the criminal forfeiture proceedings forfeiture may be executed on the property of another person. In referring to forfeiture in criminal proceedings the legislator explicitly states that the execution of the forfeiture from the property of anther person shall only be done where insufficient property of the Convicted is found in order to realize the forfeiture. In referring to the forfeiture of property in civil proceedings similar provisions have not been determined, however it is reasonable to assume that the courts will also order the realization of forfeiture from another person’s property in civil proceedings only where the property of the Convicted person is insufficient for the realization of the forfeiture order. This array of duties as set out in the law is the result of recognizing the fact that the State of Israel, because of its historical background, serves as a convenient location for money laundering activities and of the understanding that only by enlisting all the financial institutions and genuine cooperation with the law enforcement system will it be able to effectively combat the money laundering phenomenon. Another duty which has been imposed on the above stated institutions within the framework of this chapter has been prescribed in Section 8 of the law dealing with the duties of the aforementioned bodies to appoint persons to be responsible for money laundering matters whose job it is to instruct the employees in all matters appertaining to the fulfillment of their duties and to ensure that the provisions are executed as required by law. In principle (excepting for those cases of leaked information about the forwarding of a report) the non fulfillment of the duties imposed on a financial service provider in law does not amount to a criminal offence provided, naturally, that the financial service provider has not intentionally prevented the forwarding of the report knowing that money laundering was involved. Intentionally refraining from reporting constitutes a prohibition of money laundering offence under Section 3(b) and alternatively it can constitute committing of an action in property knowing that it is prohibited property, an action which has been defined as a serious offence under Section 4 of the law. If proven that the financial service provider has not complied with the duties imposed upon it, the financial service provider is liable to financial sanctions. Section 14 of the law determines that the sanction for the breach of the duty under Section 7 and 8 of the law is a financial one, at the rate to be determined by the financial sanctions committee. Four duties (the duty of identification, the duty of reporting, the duty of keeping and maintaining records and the duty to appoint someone to be in charge of money laundering prevention matters, have been imposed on all the other financial institutions specified in the Third Schedule of the Law. The idea was to cover, where possible, the full range of financial activities which could be utilized for money laundering activities, so that the battle against this phenomenon can be effective. Special orders were issued for each one of the bodies. In principle, the orders are similar. The principles of the duty to identify, requirements of authenticating details, the duty to report and the duty to keep documents are parallel to all the bosies, but they have been adapted, mutatis mutandis by specific orders, for the specific operations characterizing each one of the said financial bodies.